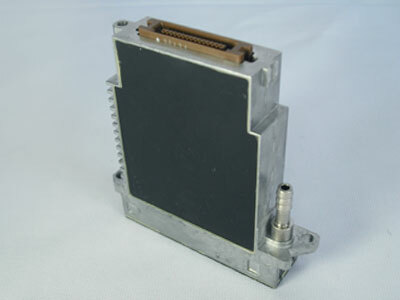 Choose the Konica Minolta KM512 MN 14pl for a piezo on-demand printhead suitable for binary and 4 level grayscale mode. 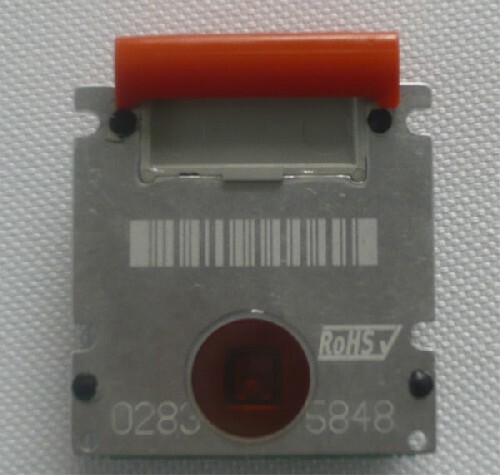 The shear mode piezo actuation promotes lower energy consumption and provides variable drop size and higher print quality without the need for additional printheads. With 512 nozzles creating a droplet size of 14 picoliter and a native resolution of 360dpi, the Konica Minolta KM512 MN 14pl is compatible with UV, solvent and oil-based inks. 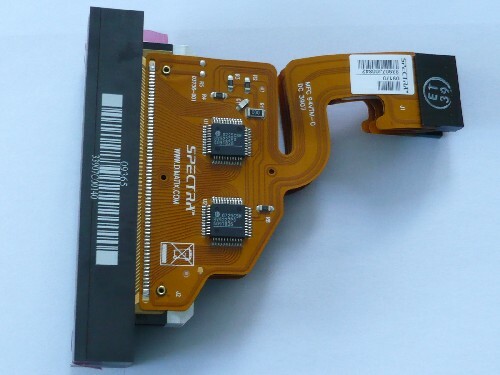 Also knows as the Konica Minolta KM 512 MNX, this robust printhead comes with the Head ID, required waveform information and product warranty. The KM 512 range also includes type L, M and S, referring to the unit drop volume capabilities of 42pl, 14pl and 4pl respectively. M and S types are capable of being operated in 4 level grayscale mode for reproducing smoother tones for a higher quality image finish. The Konica Minolta KM512 MN print head is suitable for high quality 720 dpi multi-pass printing. 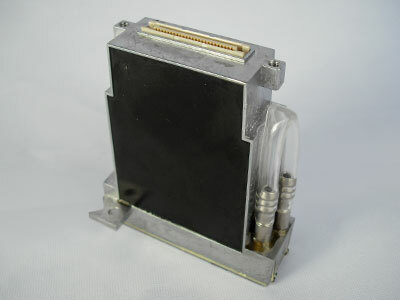 This is the original print head of Seiko Colorpainter and HP 9000/10000 printers.